ESCO (Equipment Supply Company) is pleased to announce it’s new line of Tire Inflation Solutions. 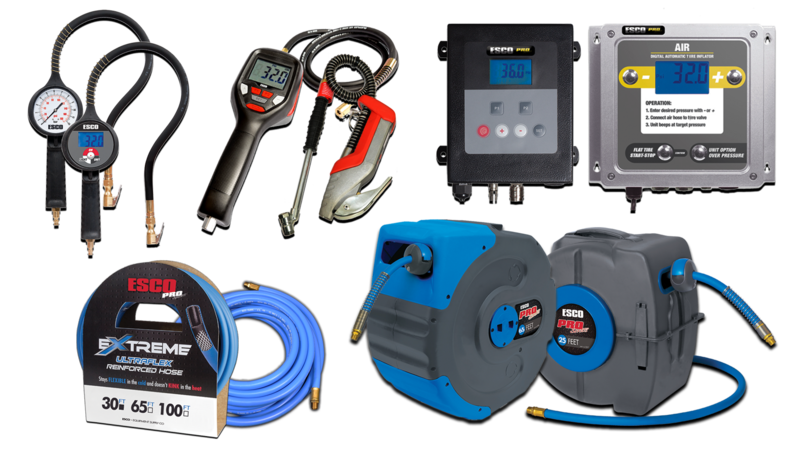 ESCO has released an entire line of tire inflators, hose reels, and air hoses to add to their already extensive line of professional tire tools & equipment. In the inflation category, the range includes wall mounted inflators, dial and digital handheld inflators, as well as a newly designed “automatic handheld inflator”. The Automatic Handheld Tire Inflator (MODEL 10963) is a rechargeable handheld tire inflation solution that allows for complete inflation of up to four tires at the push of a button. Its rugged design and ease of use makes it ideal for in the shop or on a service truck for any tire inflating situation. 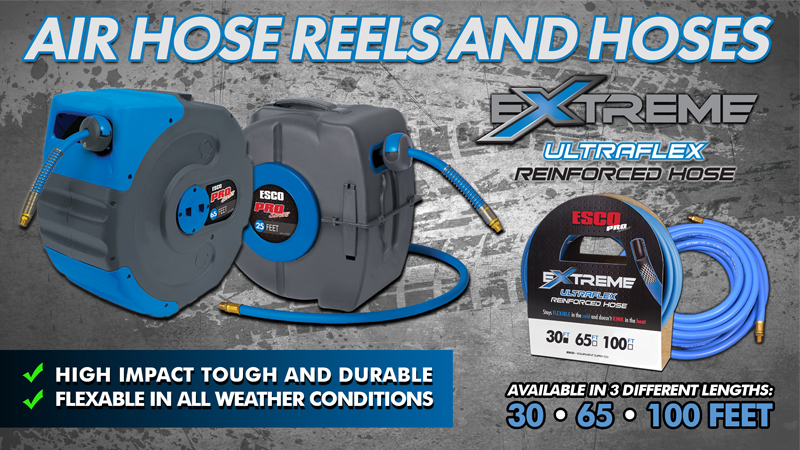 In addition to the inflation tools ESCO announces their new inflation hose reels and unique “Extreme Ultraflex Hose” products are at the top of their class in quality and overall usability across multiple markets. These new hose reels and air hoses are designed and built to be used in professional environments and for hobbyist and “DIY” applications. 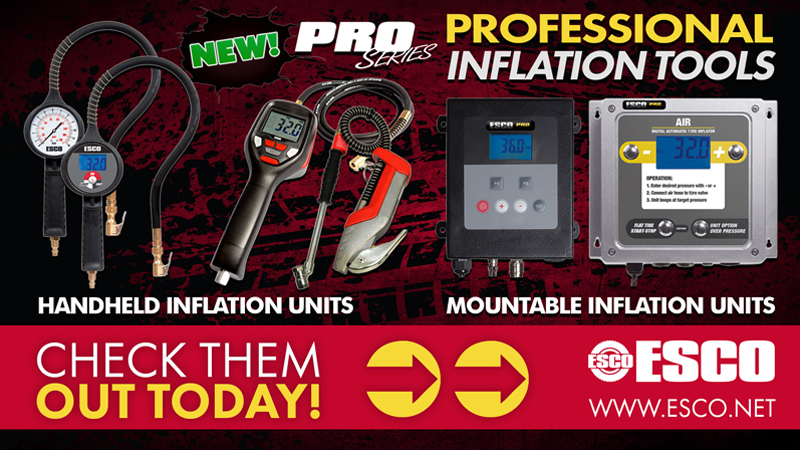 These inflation products and more are available now wherever ESCO products are sold. For more information about this product and where to buy ESCO product email sales@esco.net or call 352-754-1117 or visit www.esco.net and search “Tire Inflation” to see all options available. For over 30 years, ESCO has been the world leader in quality hydraulic tire changing tools and accessories for the Commercial Truck, OTR, Mining, Automotive, and Agricultural Market. See us at the SEMA Show 2018!